I sure do like to keep folks guessing. When I posted my Innsbruck pics from an earlier holiday, we were already leaving for our vacation to Alaska. And what a holiday! BTW, Alaska is far! Even from here in Boston, it took us a whole day to get there and another to get back! But what a land! We both wanted to see glaciers calving into the bay. With the furious pace of global warming, we were not sure how much longer these would be around. We certainly saw glaciers to our hearts content. The rest of Alaska was a bonus; what a bonus it was. On the waters, we gazed at bald eagles as they surveyed the terrain and took flight; were enamored by dozens of fabulous bird species, and seduced by the endearingly clumsy puffins attempting to take flight. Humpback whales performed graciously on their ocean stage and sea otters lolled lazily on the waves of the deep. In Denali, we were treated to several mother grizzlies teaching their cubs the finer art of hunting; herds of caribou grazed the tundra; a mother and two fox cubs played peek-a-boo with us; and other wildlife. 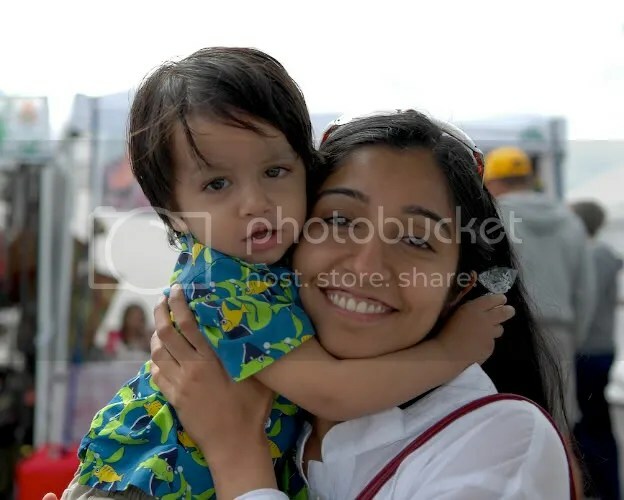 But before all that, we met the wonderfully introspective, Deepti and her welcoming family. They graciously showed us around the neighborhoods and introduced us to the terrain and local lifestyles. And along the way, we seem to have cured Deepti of her lj block! 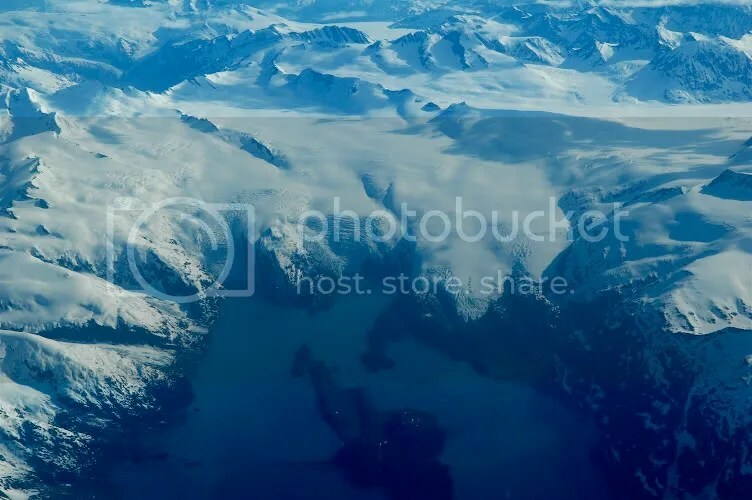 We were treated to glaciers even before we landed in Alaska. 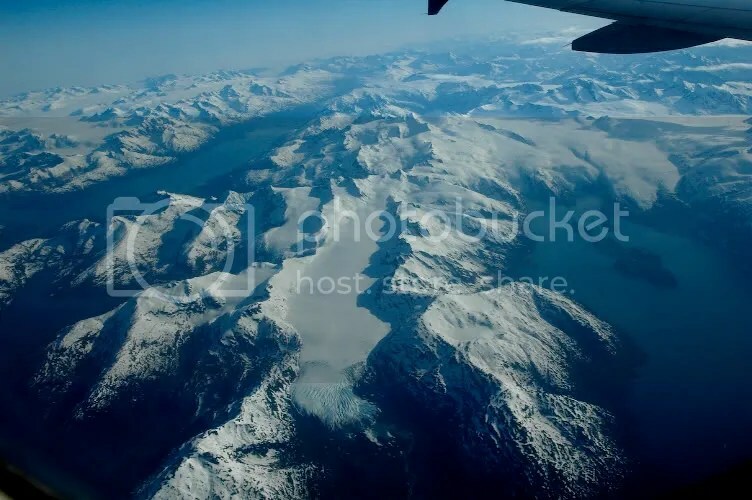 Our plane approached Anchorage along Prince William Sound. My eyes were glued to the scenery unfolding outside the window and it was only a bit later I thought of capturing the views with my camera. See a couple of the views outside the window; and M preparing to fend off a Grizzly attack! Caution, may cause an intense yearning to travel! Eastern end of Prince William Sound. 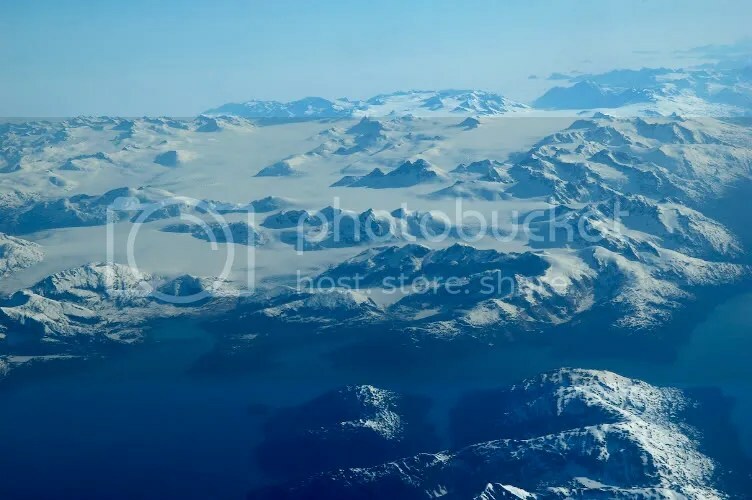 The Icefield extends far over the horizon and oozes out through multiple glaciers. Comparing glacier charts, I think this is the Tebenkof Glacier. Impressive! The Beloit and Blackstone glaciers calving into the bay. If you look carefully, you can see the tiny wakes of two cruise ships in the bay. These appear as small white lines in the lower right part of the bay. Here is a Google Maps link to the satellite images of the glaciers. M practicing Kung-fu: In preparation for our trip, M had read in various travel books about safety precautions if we encounter Grizzly bears. The books recommend (among others): “punch the bear in the nose” and “poke it in the eyes.” When she told me about that, I roared in laughter. An adult grizzly towers over 9 ft, weighs 800 pounds and can run better than 25-30 miles an hour! 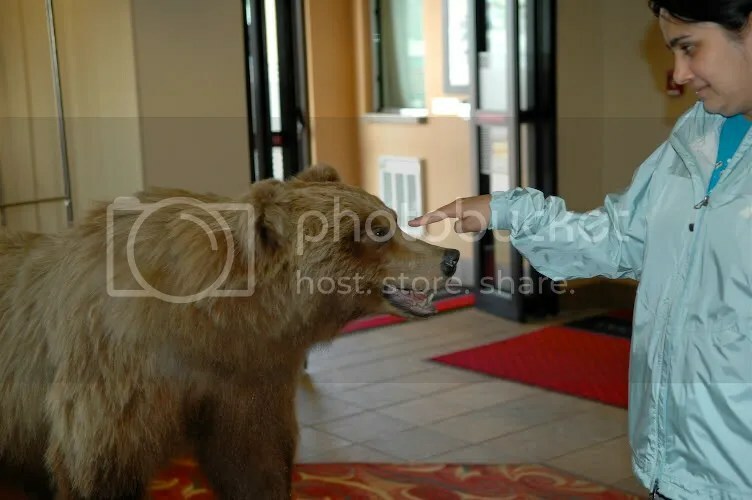 When we reached the hotel in Anchorage, they had a stuffed grizzly cub weighing about 300 lbs in the lobby. Behind us towered a mother grizzly and M could not even reach its nose, forget about punching it. Here I asked M to practice how she was going to poke this cub in the eye. Seeing M&apos;s aggressive pose, even the stuffed cub would have rolled in laughter. At least all the patrons in the lobby did.